Growing up, we always had radishes in the house, but they were always served raw. My dad would eat them as a snack, and I liked them thinly sliced in my salad. This time around, I decided to something a little different and try cooking my beloved radishes. 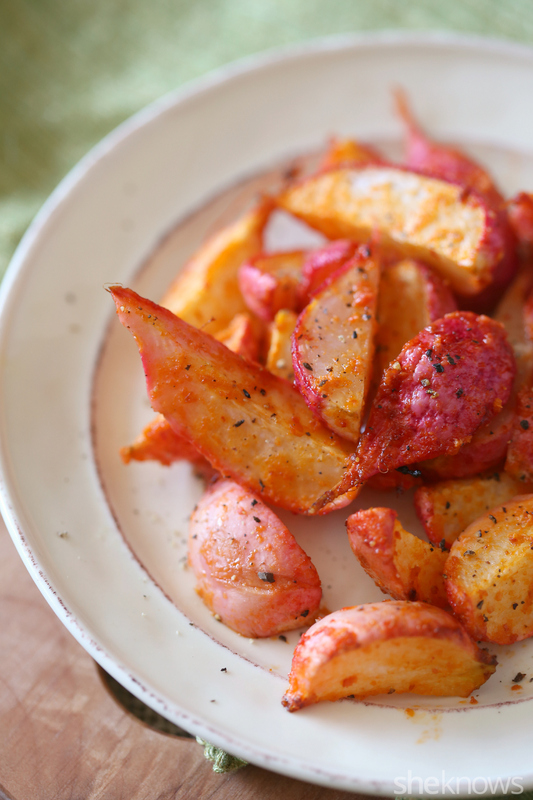 These three versions of roasted radishes will have you salivating. I’m giving you everything from sweet to spicy to citrusy. 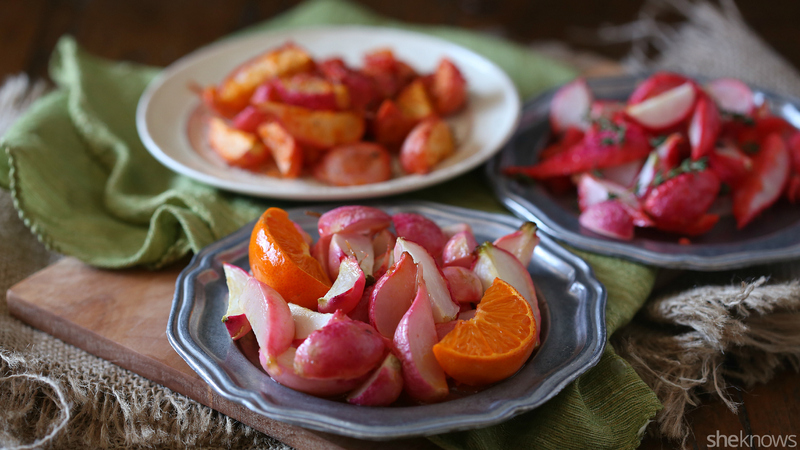 Delicious roasted radishes mixed with fresh orange flavor and sweet honey. This is the perfect play on spicy and sweet. Heat the oven to 425 degrees F, and line a rimmed baking sheet with parchment paper or a Silpat liner. Mix together all the ingredients, and place onto the prepared baking sheet. Roast for about 15 to 20 minutes, until soft and lightly browned. 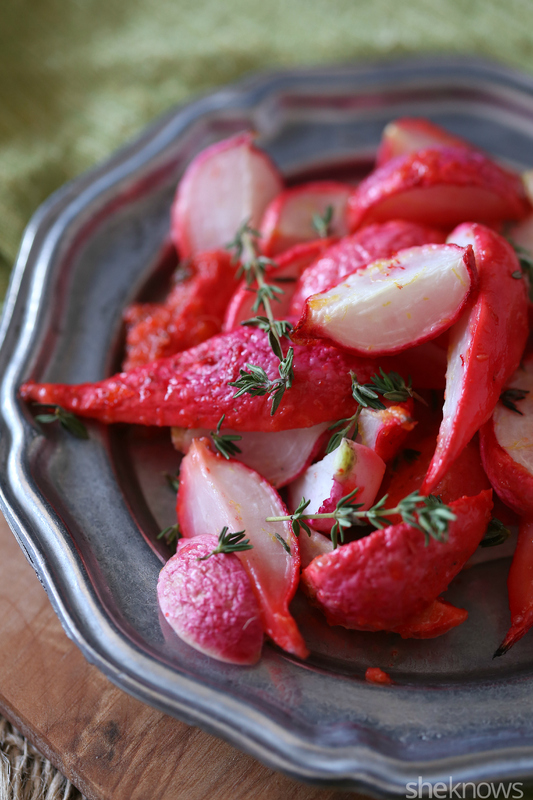 These roasted radishes are spicy, full of garlic flavor and the perfect side dish to any meal. 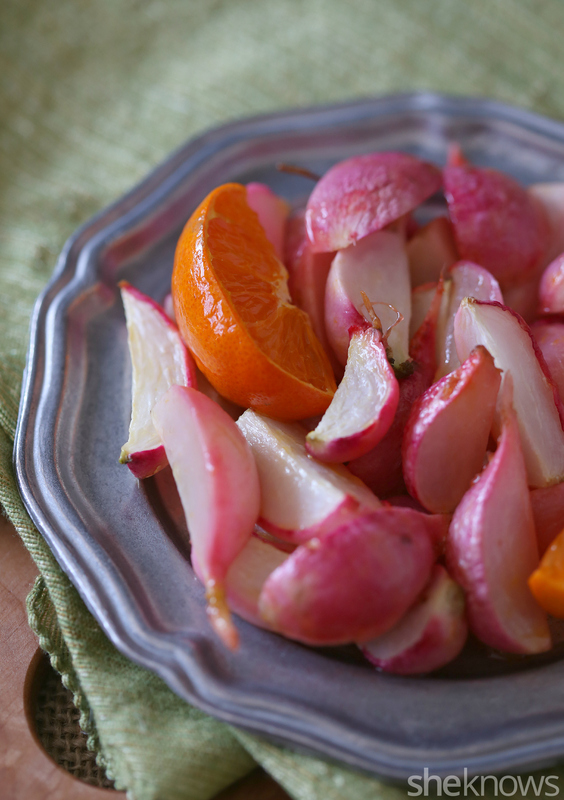 These roasted radishes are packed full of lemon flavor and just a hint of fresh thyme.